Ambassador Lhuillier receives felicitations from officials of the Academia on his naming as Honorary Fellow of the Academia. Philippine Ambassador to the Kingdom of Spain Philippe J. Lhuillier was named on 06 April 2018 an “Honorary Fellow” by the Academia de la Diplomacia for his contributions to the development and promotion of Philippine-Spain bilateral relations, within just one year of arriving in Spain. 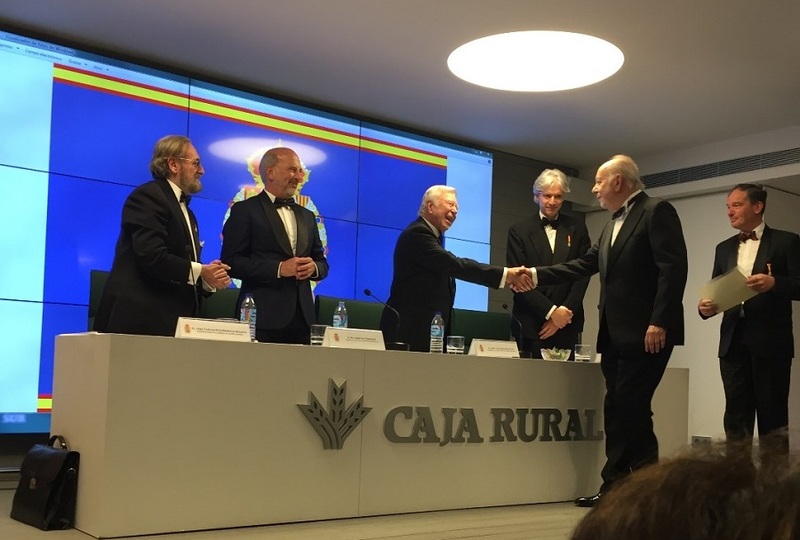 Held at the auditorium of Fundacion Caja Rural del Sur in Sevilla, the gala was attended by the members of the Academia, local government and military officials and other inductees. 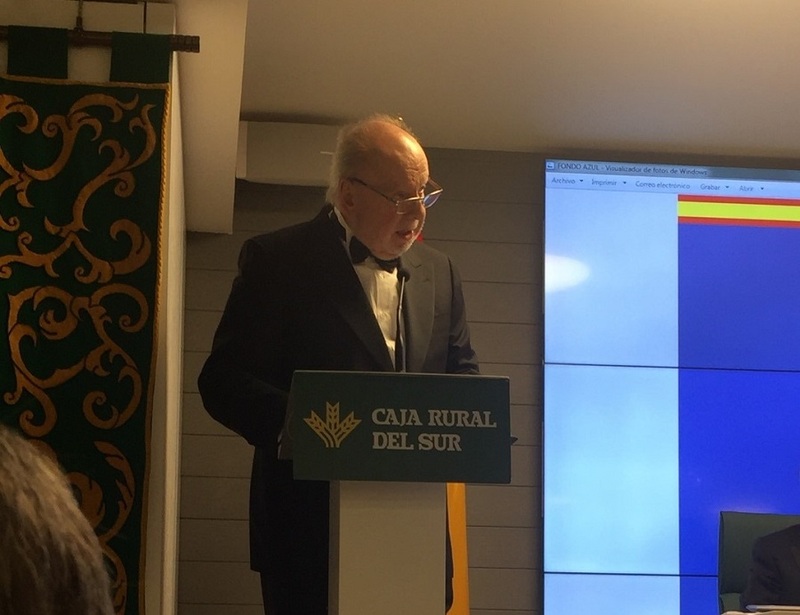 As the guest of honor and the sole foreign ambassador to be inducted during the ceremony that evening, Ambassador Lhuillier spoke on the diplomatic relations between the Philippines and Spain and the role diplomacy plays in further cementing the strong ties between the two countries. Ambassador Lhuillier joins an illustrious list of diplomats and generals as an honorary fellow of the academy. The Academia recognizes both Spanish and foreign diplomats, as well as people from other professions, who have contributed significantly to the development of Spanish bilateral relations with other countries or in the development of international relations. The Academia de la Diplomacia was founded in Spain by a group of Spanish Ambassadors. It conducts a study and analysis of international issues and organizes conferences, courses and seminars on international subjects. Ambassador Lhuillier delivers his acceptance and key note speech at the Academia de la Diplomacia during the ceremony.